With my deadlines out of the way, this past week has been filled with sipping copious amounts of tea whilst discovering some fantastic new bands and musicians. Yet in the midst of the many incredible songs and bands I found (check out Sundara Karma if you’re looking for a Foals or Maccabees-esque indie anthemic band, or Kagoule if you’re feeling more turn-the-volume-up-full lo-fi alternative rock), there was one that stood out in particular. Leo James Conroy has a voice that can only be compared to the likes of Matt Corby, and lyrical abilities that reflect the Jeff Buckley tracks that make you hang onto every word whilst you watch the raindrops on the window. Hailing from Manchester (I do have a soft spot for a fellow Mancunian, but I promise you this has in no way biased my judgement of him), Leo is slowly starting to make a name for himself, and you can definitely see why! I can see Leo going far, so I’m glad I’ve found him now before he blows up! If you’ve fallen head over heels for his music, just as I have, you can catch him at Band on the Wall in Manchester on May the 21st. It’s been a while since I last shared my new musical loves, as my University work took priority over my life. But while I was away I delved into the collections of some incredible artists and it took me a long time to be able to compile them into the most promising acts to keep your eyes on! These guys have stacks of potential and I can really see them making it big, and I just can’t wait to hear what more they have to bring! Declan McKenna has already started to make waves with his incredible music that can only be described as the lovechild of Ezra Koenig and Jamie T. Yet it’s his Alex Turner- like lyrical abilities that lead him to be signed to Columbia Records. I’m obsessed with this track, Paracetamol, right now, and I know you will be too! Black Honey have completely taken over my life these past few months. Their lo-fi indie sound has definitely started to make an impression on the scene, and despite Izzy (lead vocalist) stating that “If it was my way we’d still be a secret band”, they’re growing with every waking second, and I can’t wait to see what they do next. I’ve been a fan of Rukshana Merrise for quite some time now, but I can’t say I was fully excited about her when I initially found her earlier tracks, yet, as with most artists, it only takes one song to change my opinion of everything. Money is an incredibly upbeat track that I can’t help but bob my head to and scream along to. After signing to one of my favourite labels, Communion Records, I knew that Rukshana would be going on to great things, and this is proof of that! The Stockport lads have done it again! Gracing us with yet another anthem that rivals the likes of The Courteeners, you just want to put on your leather jacket and listen to this on repeat whilst pretending you’re a lot cooler than you are. Blossoms have been quoted to say their sound is greatly inspired by both the Arctic Monkeys and Abba, and with the sharp synths and gritty indie guitar melodies, you can completely feel that in this track. Blossoms have been recommended as one of the BBC’s Sound Of 2016, and it’s easy to understand why! Although the five piece have been cooking up a storm in Manchester for the past few years, I’m excited to see what they are yet to bring, but I think they’ll struggle to better this masterpiece! At Most A Kiss is free to download when you pre-order their debut EP, At Most A Kiss, on February 19th. When I heard The Staves were to be performing at my very own Student Union I remember squealing from excitement and I found myself eagerly counting down the days on my calendar. Support came from Gabriel Rios, a trio that I had heard of before, but never payed much attention to. Yet the beautiful mix of tones from the cello, double bass and thick acoustic guitar created such an impressive sound that I couldn’t wait to go back home and listen to him some more. 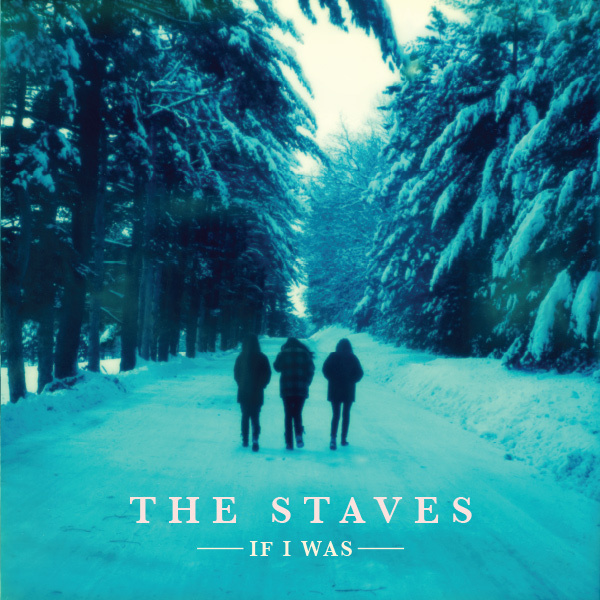 With the welcome addition of violinist of Hudson Taylor,Tadhg Walsh-Peelo, there was a much bigger depth to The Staves’ live sound compared to last time I had seen them headlining at Barn on the Farm over summer. The addition of the full band suits the girls’ new style perfectly, and as they broke into an updated version of Mexico, I really began to appreciate how much a few extra instruments can transform a beautiful acoustic song to an impressive venue filler. Yet it was their cover of Feel by Bombay Bicycle Club that stood out across the night for me. What can I say, when your favourite band covers your other favourite band, you know that you’ll love it before they’ve even started playing. Well I certainly did, and their imaginative twist of the track sent my little fan-girling mind into overdrive. Their charm was so welcoming that it made you feel as though you were just chatting in a room as they spoke to the crowd. Before launching into Make It Holy Jess admitted that any song fitted to the chords, and began singing audiences’ requests of 00’s classics over the three simple yet beautiful chords, going from Kylie, Destiny’s Child and S Club 7, much to the audiences’ and bands’ enjoyment, as it took a while for the giggles to die down. There’s definitely no lie when I say that The Staves are immensely talented, as there isn’t a single part from each song from the album that they missed, going from the subtle backing vocals in Horizons to the impressive loop pedal harmony section in Let Me Down. If I Was is now available to download on iTunes. Who said Monday was the worst day of the week? Waking up early one Monday I definitely would have said so, but just one routine morning check of Facebook changed my mind completely. With a slightly unhealthy obsession with Matt Corby’s music, I knew before I’d even heard Monday that it would be stuck on repeat for the week, and I was completely right. The track has a whole new feeling to his usual blues style, and is almost the polar opposite of his older acoustic tunes, but this maturity suits his tone perfectly. There’s not much to the song other than a kick drum and some clicks, but it’s the layers upon layers upon layers of gorgeous vocals that makes the track irresistible. Of course it wouldn’t be a review of Matt Corby without mentioning his impressive lyrical skills, as towards the end of the week I would catch myself yelling ‘I was never lost I only chose to never go home’ out of the blue, and yes I did receive some very strange looks from people. There’s something addictive to Matt Corby’s new sound, and with a small UK tour about to take place in November, I’m excited to see what he has to bring next.